Why would anyone today, in the second decade of the 21st century and era of files and the demise of physical media, need a CD player? The question can be answered without philosophy: to play CDs. That however raises another question. Who'd want to? This cannot be answered in one sentence as that answer won't be unequivocal and binding. It'll be more of a personal statement mixing opinions, convictions and faith in certain phenomena. Here is my answer. After Positive Feedback published my report of a Krakow Sonic Society meeting dedicated to the comparison of various CD issues, I received a lot of questions not kind at all. They came from angry or amused readers for whom the very act of focusing on CD made no sense, not to mention comparing different pressings. Their position was that the only thing worth listening to are high-resolution files. Or SACDs. The other group obviously involved vinyl and tape recorder enthusiasts who view the entire discussion about digital audio as pointless. The CD finds itself in this unfortunate position: Cornered between the past which by coincidence and through the persistence of vinyl enthusiasts slowly becomes the present; and the future in which all digital data are freed from physical attributes and stored virtually and preferably in high-res in the cloud. Both views see the CD as a limited format that was archaic even at launch time where only due to convenience and the powerful music companies lobby it enjoyed incredible success that has not and won't ever be repeated again by any other physical format. In other words, people have been deceived. It is therefore hardly surprising to watch the euphoria of manufactures who from the start claimed that vinyl sounded so much better and CD so poor that we shouldn't bother with the latter. That was the position of Linn, Naim, Rega but also Audio Research. ARC are the only ones who never manufactured turntables or arms and carts but always offered phono stages. 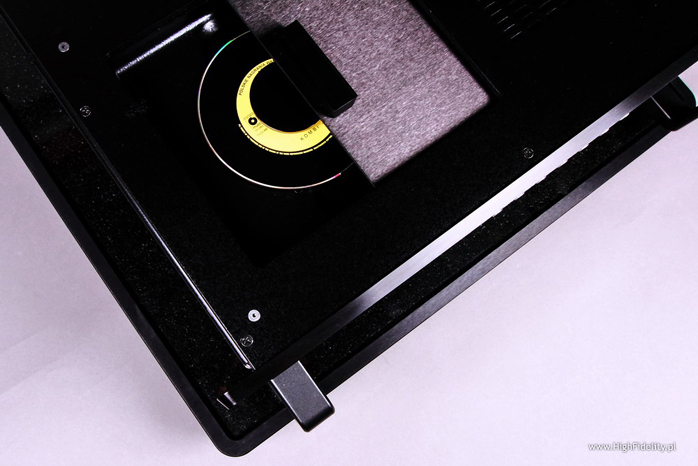 Their conviction about the superiority of analog over digital formats lasted so long that the first Audio Research CD player, 1995's CD1, appeared only a few years before the widespread attack of high-definition SACD and DVD-Audio discs (1999 and 2000 respectively). How much self confidence or criticism does one need to call one's player reference only ten years after launching such a design? Most high-end manufacturers build their reference—at least in theory and in their own mind—in their very first year of operations. 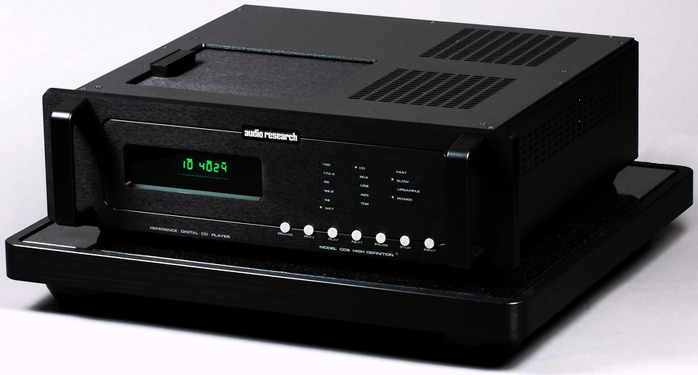 ARC didn’t offer a Reference range CD player until 2005 when the Ref CD7 launched. Three years later came the Ref CD8 and in 2013 the Ref CD9, subject of today's review. In it we find everything this Plymouth-based manufacturer has been known for all along. 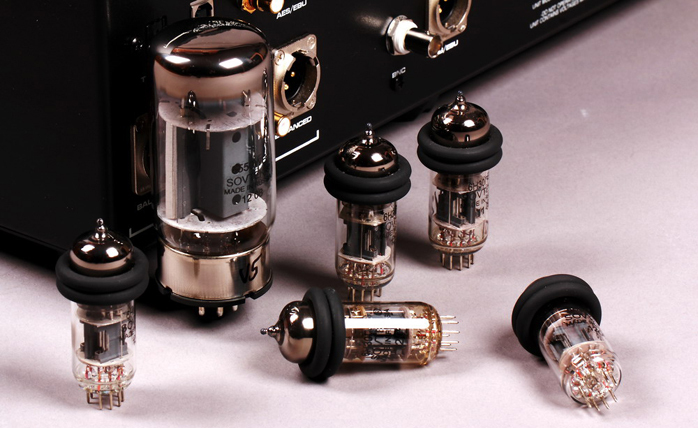 The machine is a top-loader like all previous Audio Research CDPs with a tube-based output stage. It employs the 6N30P tubes I am very familiar with from the Ancient Audio and Loit Passeri decks. The 6N30P is a dual triode originally made in the Soviet Union, now Russia. The power supply for the output stage uses two more bottles, a powerful 6550WE beam tetrode and another 6N30P. This circuit has been tried and tested repeatedly to great effect in this firm's preamplifiers. The player sports the proven Philips CD Pro2R drive and can be used as pure transport outputting digital on AES/EBU or BNC. I find it hard to imagine why anyone would. A far more likely scenario is to use the CD9 as DAC. 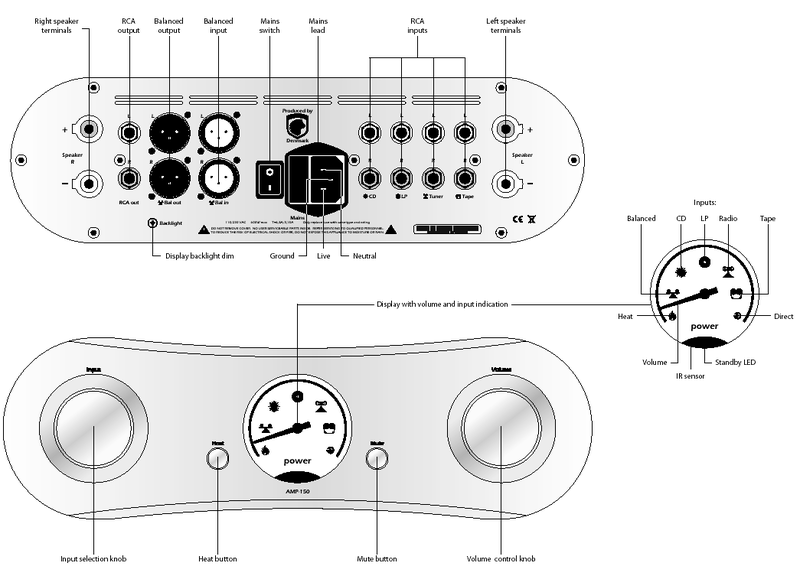 Its rear panel thus features four digital inputs: asynchronous USB 2.0HS, AES/EBU, coax and optical all 24-bit/192kHz. To use USB requires installing the appropriate driver on your PC. That's found on the included CD-R or can be downloaded directly from the website. It also supports the Reference DAC. That's no coincidence. This D/A converter section is based directly on what ARC's engineers learnt from their reference DAC and DSPre. What they use here are two stereo converter chips in dual-mono configuration with two separate clock oscillators, one for the audio 44.1kHz sample-rate family, one for the video 48kHz one. We can also choose between 'slow' and 'fast' digital filters and upsampling on or off. 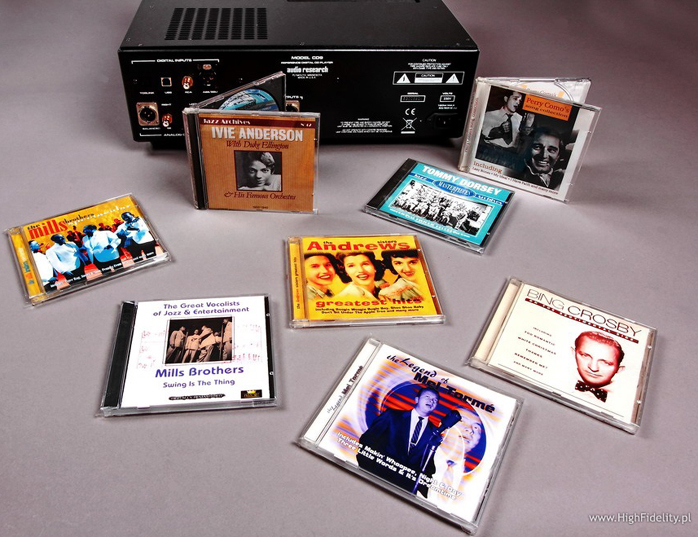 ... Kombi, Polskie Nagrania Muza/Polskie Nagrania PNCD 985, CD (1983/2005); Mel Tormé, The legend of Mel Tormé, Going for a Song GFS360; Mills Brothers, Swing Is The Thing, Trumpets Of Jericho Ltd/History 20.3039-HI, “The Great Vocalists of Jazz & Entertainment”, 2 x CD; Perry Como, Perry Como’s Song Collection, Going for a Song GFS284; Savage, Tonight, Extravaganza Publishing/Klub80 Records CD001, “25th Anniversary Limited Edition No 59/150”, CD (1984/2009); Sting, The dream of the blue turtles, A&M Records/Mobile Fidelity, UDCD 528, gold-CD (1985/1990); Suzanne Vega, Nine Objects of Desire, A&M Records, 540 583 2, CD (1996; Tommy Dorsey, Masterpieces 15, EPM 158342, “Jazz Archives”, CD (1995); Wolfgang Dauner Quintet, The Oimels, MPS/Long Hair LHC59, CD (1969/2008). Hi-rez files: Satri Reference Recordings Vol. 2, Bakoon Products, FLAC 24/192; Al Di Meola, Flesh on Flesh, Telarc, 24/96 FLAC, HDTracks (2011), Charlie Haden & Antonio Forcione, Heartplay, Naim Label, 24/96 FLAC; Dead Can Dance, Anastasis, [PIAS] Entertainment Group, PIASR311CDX, "Special Edition Hardbound Box Set", CD+USB drive 24/44,1 WAV (2012); Depeche Mode, Delta Machine, Columbia Records/Sony Music Japan SICP-3783-4, FLAC 24/44.1 (2013); Miles Davis, Tutu, Warner Brothers Records, FLAC 24/96, HDTracks; Persy Grainger, Lincolnshire Posy, Dallas Wind Symphony, Jerry Junkin, Reference Recordings, HR-117, HRx, 24/176,4 WAV, DVD-R (2009); Sonny Rollins, Tenor Madness, Prestige, WAV 24/96, HDTracks (1956/2012); Stan Getz & João Gilberto, Getz/Gilberto, Verve, 24/96 FLAC, HDTracks (1963/2012); Stardelay A New High Fidelity, Ozella Music OZL22006CD, FLAC 24/44,1 Linn Records (2008).